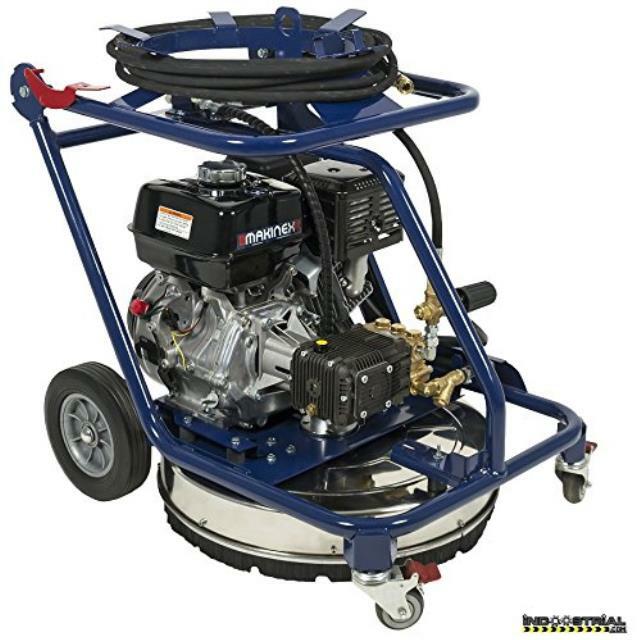 The 4000 PSI all in one pressure washer with surface cleaner combines a rotary cleaner and wand pressure washer in the one machine, with the ease of swapping between them at the turn of a handle. The dual washer functions and adjustable pressure make it perfect for an extensive list of external cleaning applications such as: car parks, driveways, paths, pavements, tennis courts, sports grounds, decks, machinery and more. Click here for the Makinex DPW-4000 parts and operation manual.